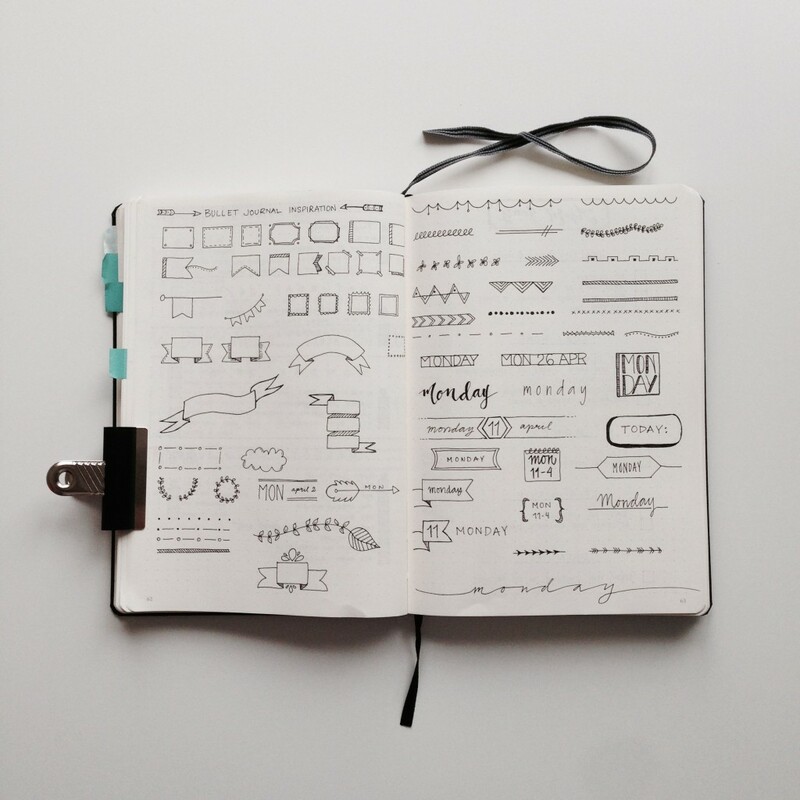 The bullet journal can be as creative or as minimalistic as you please. One collection can be all swirly and pretty and the next one can be strict, clean and minimalistic. I have a lot of creative ideas, and I also get massive inspiration from watching other bullet journals. The though thing is to actually remember any of it when I sit down to start a new collection or daily. So I started my Bullet Journal Inspiration collection. I shared the first page of my Bullet Journal Inspiration collection in a previous blog post (you can find it here). Now I’ve filled up a second page so I thought I’d share it with you. 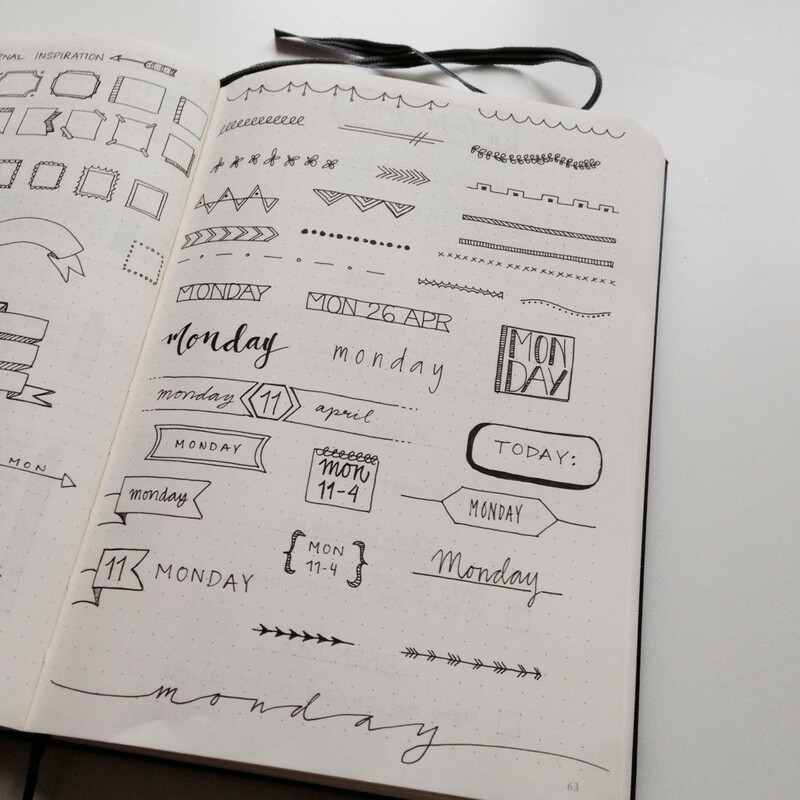 I’ll be constantly adding to my Bullet Journal Inspiration, whenever I have time to sit and doodle or whenever I see some detail I like from a fellow bullet-journalist. I’ll be sharing more inspiration like this in the coming future. But if you can’t wait to get a hefty dose of inspiration I suggest you go follow my Pinterest boards where I’ll continue to add inspiration on anything and everything bullet journal related. Do you save layouts, fonts, design elements that you see and/or come up with? Do you have a collection for it? Or maybe a pinterest board? Leave me a comment here or on social media as I would love to know. I keep a Pinterest board for my doodling inspiration!